The future of humanity is bound to the future of science and hinges on how successfully we harness technological advances to address our challenges. If we are to use science to solve our problems while avoiding its dystopian risks, we must think rationally, globally, collectively, and optimistically about the long term. Advances in biotechnology, cybertechnology, robotics, and artificial intelligence—if pursued and applied wisely—could empower us to boost the developing and developed world and overcome the threats humanity faces on Earth, from climate change to nuclear war. At the same time, further advances in space science will allow humans to explore the solar system and beyond with robots and AI. But there is no “Plan B” for Earth—no viable alternative within reach if we do not care for our home planet. Rich with fascinating insights into cutting-edge science and technology, this accessible book will captivate anyone who wants to understand the critical issues that will define the future of humanity on Earth and beyond. 1.6 Clean Energy---and a `Plan B'? 2.3 What about Our Jobs? 3.4 Towards a Post-Human Era? 4.3 How Far Does Physical Reality Extend? 4.4 Will Science `Hit the Buffers'? 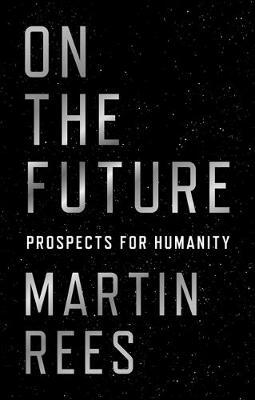 Martin Rees is Astronomer Royal, and has been Master of Trinity College and Director of the Institute of Astronomy at Cambridge University. As a member of the UK's House of Lords and former President of the Royal Society, he is much involved in international science and issues of technological risk. His books include Our Cosmic Habitat (Princeton), Just Six Numbers, and Our Final Hour (published in the UK as Our Final Century). He lives in Cambridge, UK.